IELTS stands for International English Language Test System. 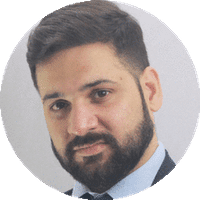 It is an international standardized test of English language proficiency for non-native English language speakers who are willing to immigrate to other countries for education and employment purpose. This test is conducted by British Council and IDP which have set standard marking and scoring criteria mentioned in the following tables. 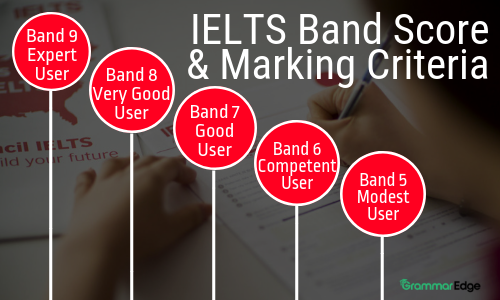 IELTS bands range between 0-9 based on the candidate's ability to use and understand the English language. Misunderstandings may occur in unfamiliar situations. Handles complex detailed argumentation well. Inability to use complex language. IELTS Listening Test consists of 40 questions into four sections. It is same for Academic and General training and the band scores for both are the same. The Reading Module of General Training has 40 questions allocated into four sections. One mark is assigned for each correct answers. The candidates of General Training Exam have to attempt more correct answers in order to obtain 8 or 9 bands. The Academic Training Module also has 40 questions in 4 sections. This is relatively difficult as compared to the General Training Exam and therefore, there is a difference in band score allocation. The General Training Module has 1. Letter Writing and 2. Essay Writing whereas the Academic Module has 1. Report on Bar Graph, Pie Chart, Line Graph, Map or Process 2. Essay Writing. IELTS Speaking is same for all the candidates. There are three sections in speaking test. 1. Introduction: Here the examiner asks questions about general things about your work, education, interests and other common topics. 2. Cue Card: A topic is assigned to the candidate on which he/she is supposed to speak for one or two minutes. 3. Follow-ups: This section has some related questions to section 2. Fluent speaking with occasional repetition and self-correction.